This All American Potato Salad is just your classic potato salad recipe. It’s perfect for picnics or barbecues all year long. Everyone loves a classic! 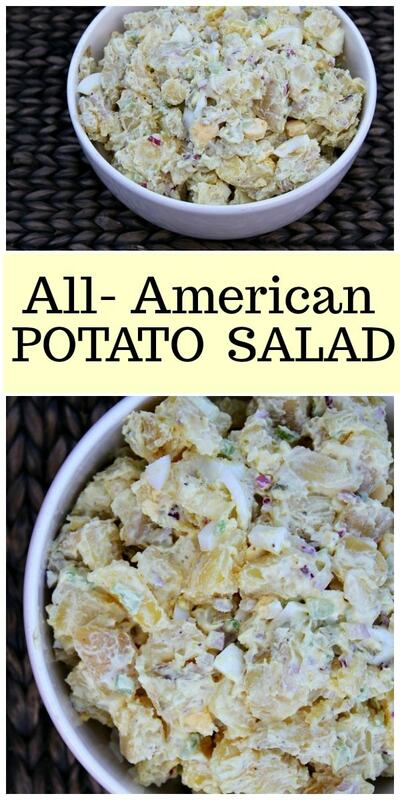 All American Potato salad is a big-time favorite in my house. My guys like a pretty basic kind of potato salad without a lot of extra goodies added in. I understand that. Sometimes simple is best. 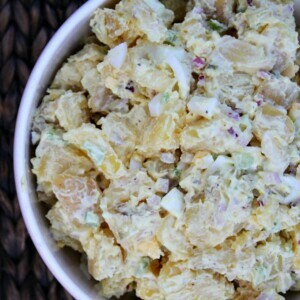 But sometimes a classic potato salad with dill pickle and mustard and red onion and egg and celery is even better! That’s this one! 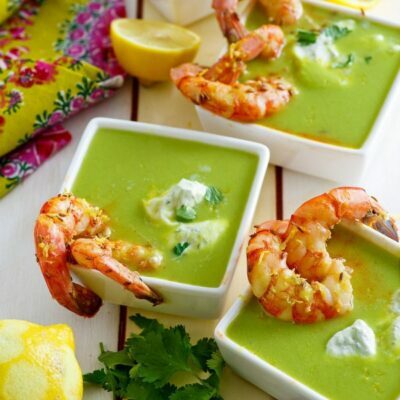 This happens to be a very popular recipe. 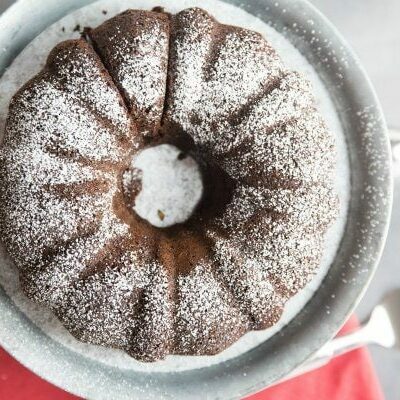 Every time I serve it up at an event or party or gathering with friends, it’s always a bit hit. There’s never any left, so I fully recommend you double the recipe so you get to enjoy some leftovers. This is one of those potato salad recipes that tastes even better the next day. 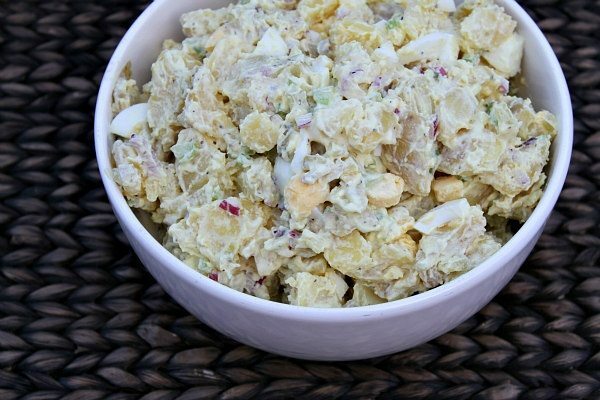 I love the crunch in this All American Potato Salad. 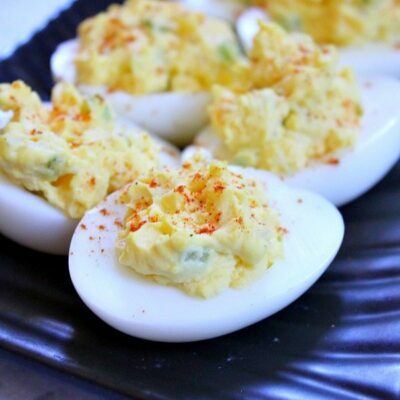 The dill pickle gives it that classic potato salad flavor that the majority of folks out there enjoy so much. And I always add extra hard-boiled eggs! This is a good one- enjoy! 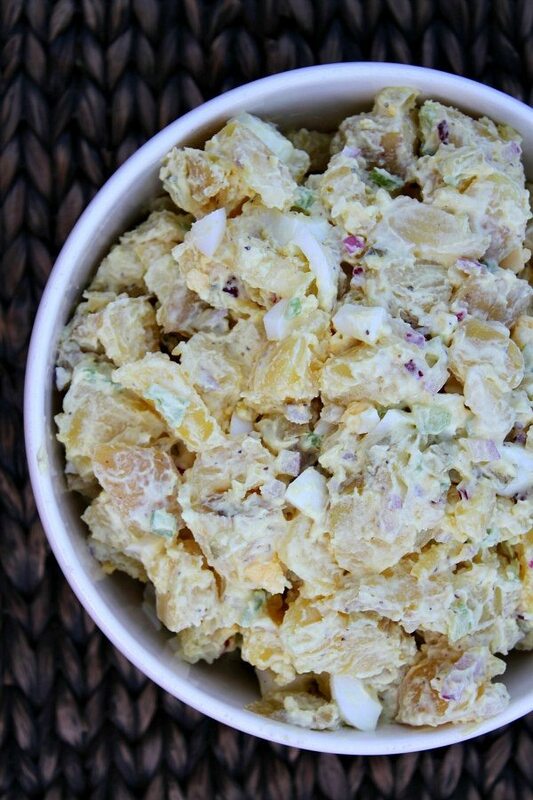 This is your classic, favorite potato salad recipe! Place the potatoes in a large saucepan with cold water to cover by 1-inch. Bring to boil over high heat, add 1 teaspoon salt, reduce heat to medium-low, and simmer until potatoes are tender, 10 to 15 minutes. Drain the potatoes thoroughly and let cool in a large bowl. Mix 2 tablespoons pickle juice and mustard together in small bowl, drizzle the pickle juice mixture over potatoes, and toss until evenly coated. Refrigerate until cooled, about 30 minutes. In a small bowl, mix the remaining tablespoon of pickle juice, mayo, sour cream, pickles, remaining 1/2 teaspoon salt, onion, celery, celery seed and pepper. Add to the potatoes and toss gently to coat. Cover, and refrigerate until well chilled, about 30 minutes. Gently stir in eggs, if using, just before serving. Be sure not to overcook the potatoes or the salad will be quite sloppy. Keep the water at a gentle simmer and use the tip of a paring knife to judge the doneness of the potatoes. If the knife inserts easily into the potato pieces, they are done. Salad can be refrigerated in airtight container for up to 2 days. Yukon Gold potatoes offer the best balance of sturdiness and flavor. If preparing this recipe as GLUTEN-FREE, just make sure that you are using brands of mustard and mayonnaise that are known to be GF. Thank you for sharing! 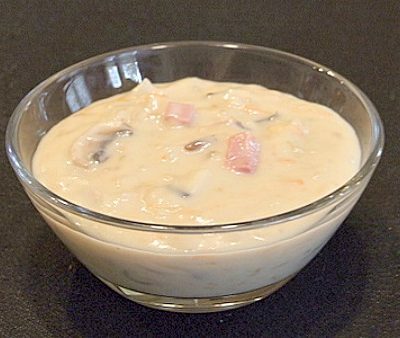 I just made today homemade mayonnaise and was looking for american potato salad recipe. Can’t wait to try!